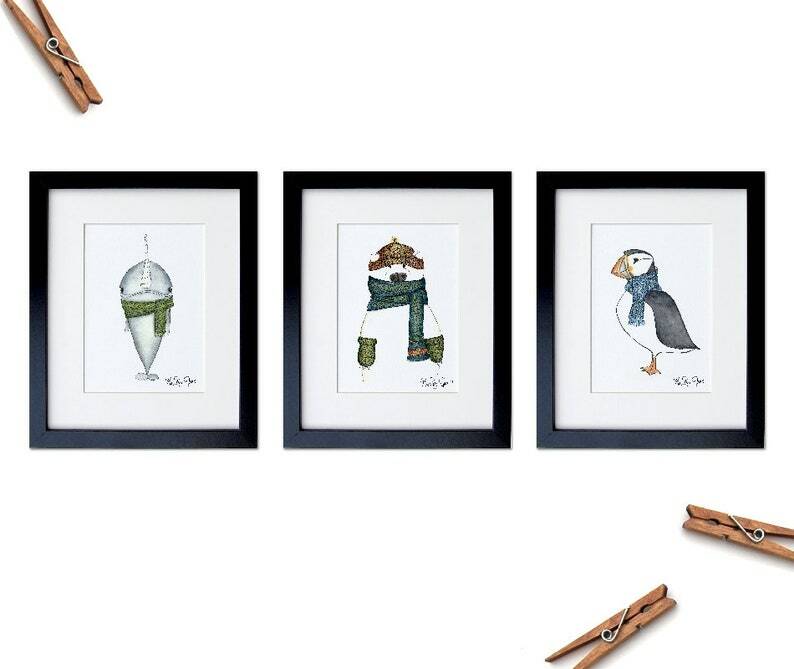 An arctic animal art print set of 3 for a gender neutral nursery. It is cold in the arctic so our friends that live their definitely need some knitwear! I painted the narwhal, polar bear, and puffin in watercolor. My watercolor animals in scarves add whimsy to any nursery, cozy or crafty space, or make a great gift for the knitter in your life!